Can I get the jobs on the My Jobs screen to refresh automatically? Can the jobs on the My Jobs screen refresh automatically without me tapping the "refresh" button? 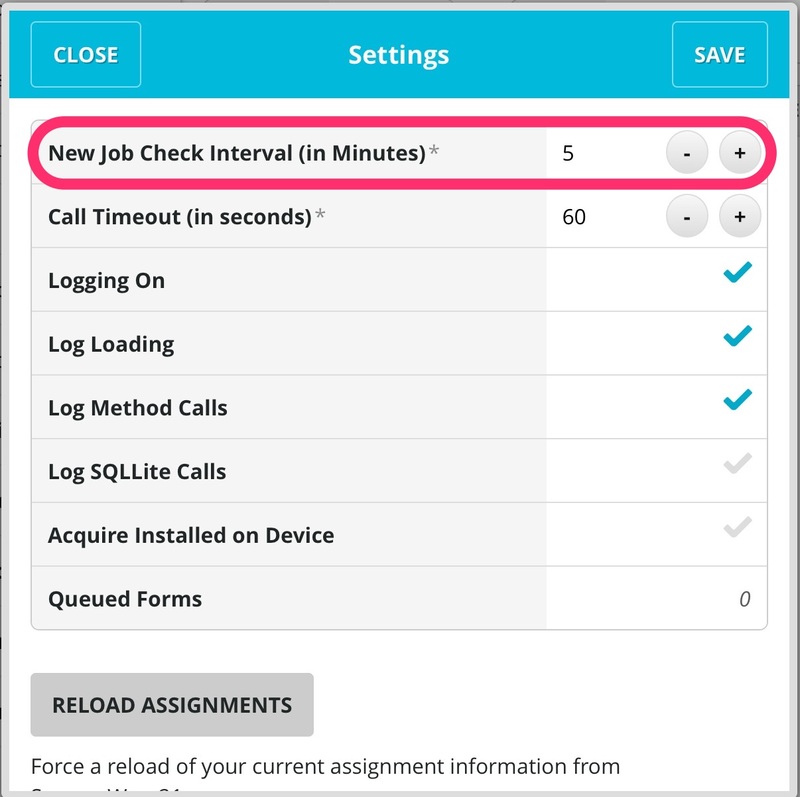 Yes, as long as you are not clocked Onsite at a job, you can set how often your device looks for new Assignments. If you are Onsite, the only way to receive updated Assignment information is to go into Settings and select Reload Assignments. That's it! Your 'My Jobs' screen will now check for new jobs/updates to your assignments at the interval in which you have selected.